It is easy to achieve the sound of folk music with acoustic chords and twinkling banjos. Capturing the spirit of folk music is much more difficult. It requires turning ordinary experiences into art and blending the real with the magical. Indie folk music of the last decade can often feel trapped in the past, focusing too much on reproducing an old fashioned sound, and not enough on creating music that represents life as it is now, not as it was. If anything, the genre that embodies the modern life of ordinary people, with all its struggles and joys has become rap, not folk. 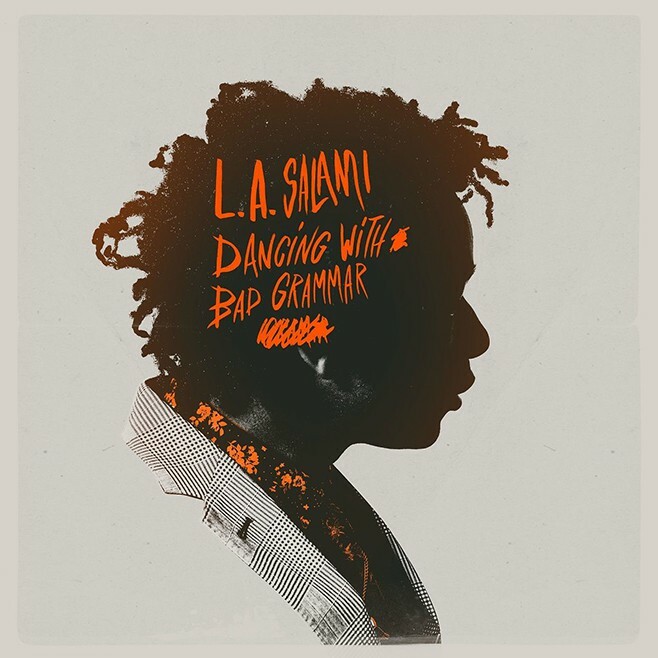 London based artist L.A. Salami manages to create urban folk music for the 21st century on his album Dancing with Bad Grammar. Dancing with Bad Grammar is L.A. Salami’s debut album, coming after two EP releases. 2013’s Another Shade of Blue and 2014’s The Prelude, both experimented with folk sounds. The artist has been getting considerable attention in his native U.K. where he has been played on BBC radio and opened Burberry’s Menswear Spring/Summer 2014 show. To pin Dancing with Bad Grammar into a genre feels like false advertising. Listening to Grammar for the first time feels like exploring an unfamiliar city, each song is an undiscovered gem of genre mashing hiding just around the corner. Just as the early tracks are settling into a folk sound, suddenly there are bursts of electric guitar and rap. Whether it is the rap and power chords on “The City Nowadays” or the Bob Dylan vocals on “Why Don’t You Help Me” what binds the album together is each track’s narrative power. For all the emphasis on ordinary life, magic and fantasy are just as crucial to the folk music tradition. On “My Thoughts, They Too Will Tire” Salami proves to be a masterful poet, using captivating imagery, rhyme and assonance. He spins a universal tale of struggle, violence, poverty and power as he builds a mystical world that rings with familiarity. Lines like: “His hands are tied to the eyes of the Trojans minds and the line of knives that bind time with every incision,” leave a lasting impression. Then there are the more urban songs alongside those that pay tribute to folk roots. “Going Mad at the Street Bins” begins with basic indie guitar strumming, then transitions to heavy guitar riffs and a funky electric organ. Here Salami has exchanged his Dylan Americana voice for vocals accented from his native London, sounding similar to Alex Turner. The song is packed with frustration and distrust at a downtrodden contemporary life lacking purpose. On “The City Nowadays” Salami takes jabs at urban life. It’s not the typical shot at materialism that any artist who wants to be labeled as “edgy” is required to take, instead he calls out our pop-culture glut as “every film is the best film of the year.” Where the rest of the album highlights Salami’s reflexes on the guitar, and soft, rich vocals, “The City Nowadays” branches out into rap, giving Salami the unique title of singer/songwriter/rapper. Ultimately it is Salami’s versatility as a musician, creativity, and vision to blend a host of influences, from Neil Young and Bob Dylan to hip hop and the blues that makes Dancing with Bad Grammar a success.